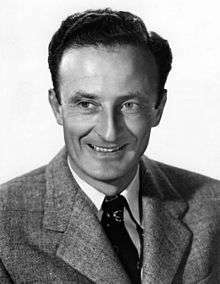 Alfred "Fred" Zinnemann (April 29, 1907 – March 14, 1997) was an Austrian-born American film director. He won four Academy Awards for directing films in various genres, including thrillers, westerns, film noir and play adaptations. He made 25 feature films during his 50-year career. He was among the first directors to insist on using authentic locations and for mixing stars with civilians to give his films more realism. Within the film industry, he was considered a maverick for taking risks and thereby creating unique films, with many of his stories being dramas about lone and principled individuals tested by tragic events. According to one historian, Zinnemann's style demonstrated his sense of "psychological realism and his apparent determination to make worthwhile pictures that are nevertheless highly entertaining." Some of his most notable films were The Men (1950), High Noon (1952), From Here to Eternity (1953), Oklahoma! (1955), The Nun's Story (1959), A Man For All Seasons (1966), The Day of the Jackal (1973), and Julia (1977). His films have received 65 Oscar nominations, winning 24. Zinnemann directed and introduced a number of stars in their U.S. film debuts, including Marlon Brando, Rod Steiger, Pier Angeli, Julie Harris, Brandon deWilde, Montgomery Clift, Shirley Jones and Meryl Streep. He directed 19 actors to Oscar nominations, including Frank Sinatra, Montgomery Clift, Audrey Hepburn, Glynis Johns, Paul Scofield, Robert Shaw, Wendy Hiller, Jason Robards, Vanessa Redgrave, Jane Fonda, Gary Cooper and Maximilian Schell. "In Austria, discrimination had been part of life since time immemorial. It was always there, oppressive, often snide, sometimes hostile, seldom violent. It was in the air and one sensed it at all levels, in school, at work and in society. A Jew was an outsider, a threat to the country's culture. Born in Austria, and raised as an Austrian, he would still never truly belong." Zinnemann was born in Vienna, the son of Anna (Feiwel) and Oskar Zinnemann, a doctor. His family was Jewish, and he had one younger brother. While growing up in Austria, he wanted to become a musician, but went on to graduate with a law degree from the University of Vienna in 1927. Zinnemann worked in Germany with several other beginners (Billy Wilder and Robert Siodmak also worked with him on the 1929 feature People on Sunday) after he studied filmmaking in France. His penchant for realism and authenticity is evident in his first feature The Wave (1935), shot on location in Mexico with mostly non-professional actors recruited among the locals, which is one of the earliest examples of social realism in narrative film. Earlier in the decade, in fact, Zinnemann had worked with documentarian Robert Flaherty, "probably the greatest single influence on my work as a filmmaker", he said. He was twenty-two but he said he felt older than the forty-year-olds in Hollywood. But he was jubilant because he was then certain that "this was the place one could breathe free and belong. ":18 But after a few years he became disillusioned with the limited talents of Hollywood's elites. After some directing success with short films, he graduated to features in 1942, turning out two crisp B mysteries, Eyes in the Night and Kid Glove Killer before getting his big break with The Seventh Cross (1944), starring Spencer Tracy, which became his first hit. The film was based on Anna Seghers' novel and, while filmed entirely on the MGM backlot, made realistic use of refugee German actors in even the smallest roles. The central character—an escaped prisoner played by Tracy—is seen as comparatively passive and fatalistic. He is, however, the subject of heroic assistance from anti-Nazi Germans. In a sense, the protagonist of the film is not the Tracy character but a humble German worker played by Hume Cronyn, who changes from Nazi sympathizer to active opponent of the regime as he aids Tracy. After World War II, Zinnemann learned that both of his parents had died in the Holocaust. :86 He was further frustrated by his studio contract, which dictated that he did not have a choice in directing films like My Brother Talks to Horses (1947) and Little Mister Jim (1947) despite his lack of interest in their subject matter. However, his next film, The Search (1948), won an Oscar for screenwriting and secured his position in the Hollywood establishment. 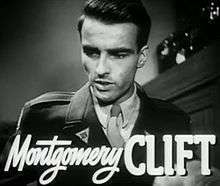 Shot in war-ravaged Germany, the film stars Montgomery Clift in his screen debut as a GI who cares for a lost Czech boy traumatized by the war. It was followed by Act of Violence (1948), a gritty film noir starring Van Heflin as a haunted POW, Robert Ryan as his hot-tempered former friend, Janet Leigh as Heflin's wife, and Mary Astor as a sympathetic prostitute. Zinnemann considered Act of Violence the first project in which he "felt comfortable knowing exactly what I wanted and exactly how to get it." In the critically acclaimed The Men (1950), starring newcomer Marlon Brando as a paraplegic war veteran, Zinnemann filmed many scenes in a California hospital where real patients served as extras. The film is noted for giving Brando his first screen role. It was followed by Teresa (1951), starring Pier Angeli. Perhaps Zinnemann's best-known work to come out of the 1950s is High Noon (1952), one of the first 25 American films chosen in 1989 for the National Film Registry. With its psychological and moral examinations of its lawman hero Marshall Will Kane, played by Gary Cooper and its innovative chronology whereby screen time approximated the 80-minute countdown to the confrontational hour, the film broke the mold of the formulaic western. Working closely with cinematographer and longtime friend Floyd Crosby, he shot without filters, giving the landscape a harsh "newsreel" quality that clashed with the more painterly cinematography of John Ford's westerns. During production he established a strong rapport with Gary Cooper, photographing the aging actor in many tight close-ups which showed him sweating, and at one point, even crying on screen. Screenwriter Carl Foreman apparently intended High Noon to be an allegory of Senator Joseph McCarthy's vendetta against alleged Communists. However, Zinnemann disagreed, insisting, late in life, that the issues in the film, for him, were broader, and were more about conscience and independent, uncompromising fearlessness. He says, "High Noon is "not a Western, as far as I'm concerned; it just happens to be set in the Old West." For his screen adaptation of the play The Member of the Wedding (1952), Zinnemann chose the 26-year-old Julie Harris as the film's 12-year-old protagonist, although she had created the role on Broadway just as the two other leading actors, Ethel Waters and Brandon deWilde, had. Zinnemann's next film, From Here to Eternity (1953), based on the novel by James Jones, was nominated for 13 Academy Awards and would go on to win 8, including Best Picture and Best Director. Zinnemann fought hard with producer Harry Cohn to cast Montgomery Clift as the character of Prewitt, although Frank Sinatra, who was at the lowest point of his popularity, cast himself in the role of "Maggio" against Zinnemann's wishes. Sinatra would later win an Oscar for Best Supporting Actor. From Here to Eternity also featured Deborah Kerr, best known for prim and proper roles, as a philandering Army wife. Donna Reed played the role of Alma "Lorene" Burke, a prostitute and mistress of Montgomery Clift's character which earned her an Academy Award for Best Supporting Actress for 1953. The Sundowners (1960), starring Robert Mitchum and Deborah Kerr as an Australian outback husband and wife, led to more Academy Award nominations, including Best Picture, Best Director, Best Screenplay, Best Actress (Kerr) and Best Supporting Actress (Glynis Johns), but won none. Behold A Pale Horse (1964) was a post-Spanish Civil War epic based on the book Killing A Mouse on Sunday by Emeric Pressburger and starred Gregory Peck, Anthony Quinn and Omar Sharif, but was both a critical and commercial flop; Zinnemann would later admit that the film "didn't really come together." In 1965 he was a member of the jury at the 4th Moscow International Film Festival. Zinnemann's fortunes changed once again with A Man for All Seasons (1966), scripted by Robert Bolt from his own play and starring Paul Scofield as Sir Thomas More, portraying him as a man driven by conscience to his ultimate fate. The film went on to win six Academy Awards, including Best Picture, Best Actor (Scofield) and Best Director, Zinnemann's second such Oscar to date. The film was also entered into the 5th Moscow International Film Festival. After this, Zinnemann was all set to direct an adaptation of Man's Fate for MGM. However, the project was shut down in 1969, and the studio attempted to hold Zinnemann responsible for at least $1 million of the $3.5 million that had already been spent on pre-production. In protest, Zinnemann filed a lawsuit against the studio, and it would be four years before he would make his next film. By the early 1970s, Zinnemann had been out of work since the cancellation of Man's Fate; he believed it had "marked the end of an era in picture making and the dawn of a new one, when lawyers and accountants began to replace showmen as head of the studios and when a handshake was a handshake no longer." However, Universal then offered him the chance to direct The Day of the Jackal (1973), based on the best-selling suspense novel by Frederick Forsyth. The film starred Edward Fox as an Englishman who is relentlessly driven to complete his mission to try to kill French president Charles de Gaulle, and Michael Lonsdale as the French detective hired to stop him. Zinnemann was intrigued by the opportunity to direct a film in which the audience would already be able to guess the ending (the Jackal failing his mission), and was pleased when it ultimately became a hit with the public. Zinnemann's final film was Five Days One Summer (1982), filmed in Switzerland and based on the short story Maiden, Maiden by Kay Boyle. 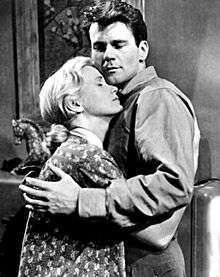 It starred Sean Connery and Betsy Brantley as a "couple" vacationing in the Alps in the 1930s, and a young Lambert Wilson as a mountain-climbing guide who grows heavily suspicious of their relationship. The film was both a critical and commercial flop, although Zinnemann would be told by various critics in later years that they considered it an underrated achievement. Zinnemann blamed the film's critical and commercial failure for his retirement from filmmaking: "I'm not saying it was a good picture. But there was a degree of viciousness in the reviews. The pleasure some people took in tearing down the film really hurt." Zinnemann is often regarded as striking a blow against "ageism" in Hollywood. The apocryphal story goes that, in the 1980s, during a meeting with a young Hollywood executive, Zinnemann was surprised to find the executive didn't know who he was, despite having won four Academy Awards, and directing many of Hollywood's biggest films. When the young executive callowly asked Zinnemann to list what he had done in his career, Zinnemann delivered an elegant comeback by reportedly answering, "Sure. You first." In Hollywood, the story is known as "You First", and is often alluded to when veteran creators find that upstarts are unfamiliar with their work. Zinnemann insisted, "I've been trying to disown that story for years. It seems to me Billy Wilder told it to me about himself." Zinnemann died of a heart attack in London, England on March 14, 1997. He was 89 years old. His wife died on December 18, 1997. "His films are characterized by an unshakable belief in human dignity; a realist aesthetic; a preoccupation with moral and social issues; a warm and sympathetic treatment of character; an expert handling of actors; a meticulous attention to detail; consummate technical artistry; poetic restraint; and deliberately open endings"
Zinnemann's training in documentary filmmaking and his personal background contributed to his style as a "social realist." With his early films between 1937 and 1942 he began using that technique, and with High Noon in 1952, possibly his finest film, he created the tense atmosphere by coordinating screen time with real time. In From Here to Eternity, for example, he effectively added actual newsreel footage of the Japanese attack on Pearl Harbor, which enhanced and dramatized the story. Similarly, in A Hatful of Rain, he used a documentary style to present real life drug addiction in New York. Zinnemann again incorporated newsreel footage in Behold a Pale Horse, about the Spanish Civil War. The Day of the Jackal, a political thriller about an attempt to assassinate Charles de Gaulle, was shot on location in newsreel style, while Julia placed the characters in authentic settings, as in a suspenseful train journey from Paris to Moscow during World War II. According to one historian, Zinnemann's style "demonstrates the director's sense of psychological realism and his apparent determination to make worthwhile pictures that are nevertheless highly entertaining." Academy Award for Best Short Subject, One-Reel: That Mothers Might Live (1938). Golden Globe for Best Film Promoting International Understanding: "The Search" (1948). Academy Award for Best Documentary Short Subject: Benjy (1951). New York Film Critics Circle Award for Best Director: High Noon (1952). Academy Award for Best Director, Directors Guild of America (DGA) Award for Outstanding Directorial Achievement in Motion Pictures: From Here to Eternity (1953). New York Film Critics Circle Award for Best Director: The Nun's Story (1959). Academy Award for Best Director, New York Film Critics Circle Award for Best Director, and Directors Guild of America (DGA) Award for Outstanding Directorial Achievement in Motion Pictures: A Man for All Seasons (1966). D. W. Griffith Award, 1971. Order of Arts and Letters, France, 1982. U.S. Congressional Lifetime Achievement Award, 1987. John Huston Award, Artists Right Foundation, 1994. ↑ J. E. Smyth, "Fred Zinnemann and the Cinema of Resistance", Univ. Press of Mississippi, 2014. Pages 103-04. ↑ "4th Moscow International Film Festival (1965)". MIFF. Retrieved December 2, 2012. ↑ "5th Moscow International Film Festival (1967)". MIFF. Retrieved December 15, 2012. 1 2 Gray, Timothy M.; Natale, Richard (March 17, 1997). "Zinnemann dies at 89". Variety. ↑ Gritten, David (June 21, 1992). "MOVIES : A Lion in His Winter : At 85, Fred Zinnemann looks back on a life in film; his anecdote-rich autobiography earns the rave reviews his last movie didn't". Los Angeles Times. ↑ Weinraub, Bernard (September 14, 1994). "At Lunch with: John Gregory Dunne; The Bad Old Days in All Their Glory". The New York Times. Retrieved October 9, 2007.